B3 India's First Handicap Match-Up – Infamous vs. Full Power! Achint started off as a Socio-Political rapper. Along with being a rapper, he is also a vocalist with a very dynamic range and voice. To put that to a test, he came out with a song called “Kyoon Maine”. This was his first experiment with Hindi Rap back in 2011. The song became an instant hit with the audience the first time he performed it at a college event. After the song released on Youtube, it received a lot of love from the audience all over the nation and was known by many college youths. Post the release of this song, he worked on many collaborations with some really well known faces of the indian underground hiphop scene. Some of his most acclaimed work of art include “Relentless” in collaboration with Kav-E, a verse on Shaikhspeare’s Posse Cut called “Age Of Conflicts” which put his name on the map for some of the best lyricists/rapper in India. This B3, Achint returns with a bang and to proclaim his rightful place as the Apollo in the scene. While he was away, he worked on his art, trying to find his sound. This only goes to show that you are in for some musical treat. 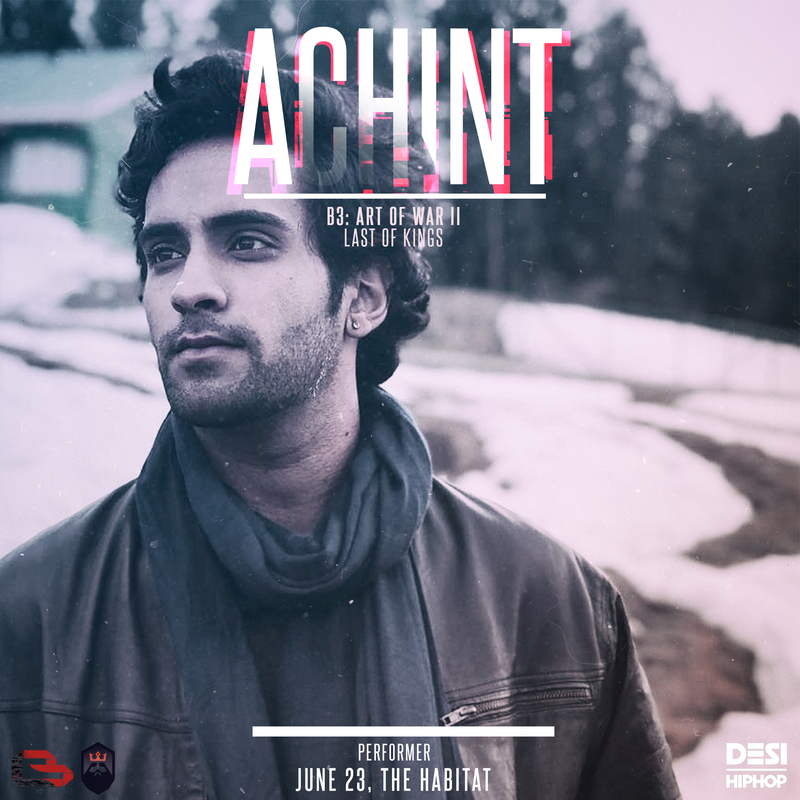 Being a diverse MC with a unrivaled skill set, Achint has a platter of music that makes your vibe to each song on a different wavelength with strong hooks and tight verses. Achint is all set to set the stage on fire. This B3, Achint will make sure that people do not take his music for granted with bars that hit you hard where they are supposed to.